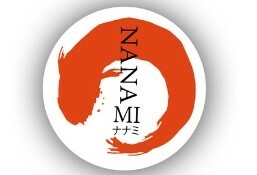 NanamI Sushi Bar is currently closed for delivery and it will open at . Baked califoria roll, shrimp, potato, 3 kind of cheese served with honey mayo, teriyaki sauce, cream cheese mayo. Thin slice beef chashu, Bean sprout, steamed fish cake, onion leeks, kampio, corn, Egg and Seaweed. Miso base,squid, mussels, egg, Bean Sprout, onion leeks, kampio , bamboo sprout. Kimchi Egg Bean Sprout, Onion Leeks, Kampio, Bamboo shoot. Beef Chashu, Butter, Seaweed Flakes, Kampio, corn, onion leeks.